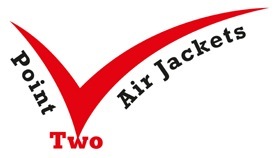 However I am fine now and I owe my life to a the Point Two hi-tech air jacket, “Paramedics said the air jacket I was wearing [which inflates much like a car air bag] did go off before the horse came down on me, and therefore saved my life”. I’m very thankful I had an air jacket on and hope more people get them, the lightweight air jacket, which is now used by many riders in eventing, is designed to inflate after a fall and offer a cushion to the neck, spine and body. They are not compulsory. It is at your own discretion. Anyone who has had a bad fall with them on would swear by them. They are very good jackets and something we have got used to. A few years ago, no-one had heard of them. Now a lot of people wouldn’t ride without them. Sport changes, and things get better.